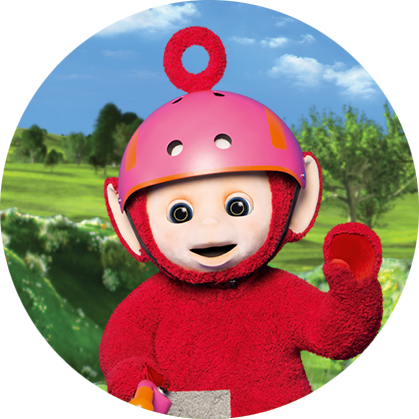 Tinky Winky is purple, the biggest Teletubby and almost always goes first! He is gentle, soft and a dreamer. He can be a little indecisive but is also very thoughtful. His signature move is putting his arms out to the side (for “T”) and then upwards, with bent elbows, for “W”. 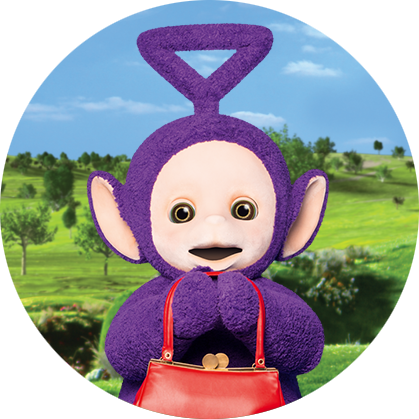 Tinky Winky’s favorite thing is his red bag, which he carries over his elbow. Most of all, he loves big hugs! 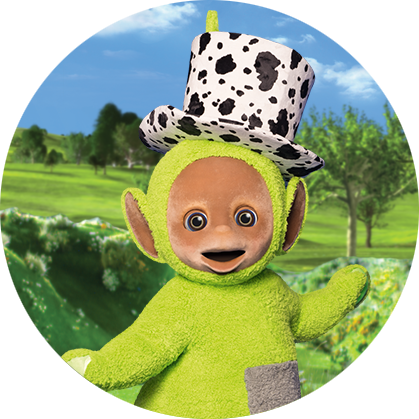 Dipsy is green, fun, loves dancing and bouncing on his bottom! He is funky and groovy, always doing dance moves with his arms. His signature move is an excited wiggle dance and he sometimes ends this by plonking himself onto his bottom. Dipsy’s favorite thing is his black and white hat – he loves to strike a pose in it. Laa-Laa is yellow, a performer and she loves to sing and dance! She is a bundle of good, fun energy. Her signature move is a light-footed twirl. 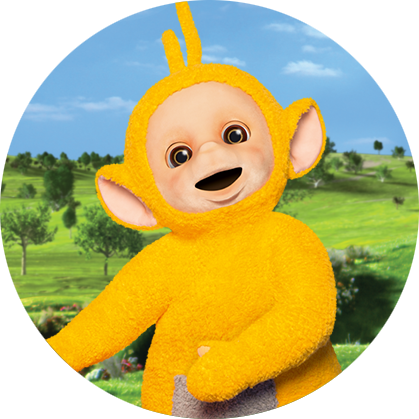 Laa-Laa’s favorite thing is her orange ball – she loves bouncing, patting and boinging it. Po is red, cute and little! Her signature moves are a karate-style hand pose and a star jump. Her favorite thing is going super fast on the scooter! When Po stands, she has her arms behind her back and sticks her tummy out. She is wide-eyed about all that is around her. Best of all, she loves big hugs! 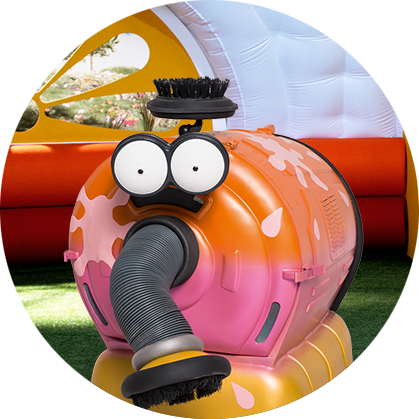 A much loved companion of the Teletubbies, the Noo-noo is fantastic at cleaning up! There’s nothing the Noo-noo likes more than snuffling up globs of custard. 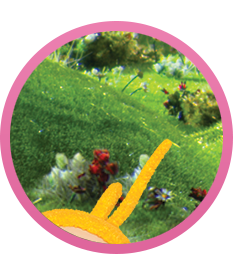 The Noo-noo likes to keep the Dome clean, when the Teletubbies are having messy fun with Tubby Custard or Tubby Toast. 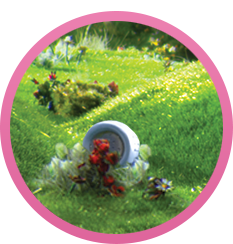 Noo-noo doesn’t only clean up the Teletubbies’ mess, but he also has a lot of fun hoovering up silly things in Tinky Winky’s bag. 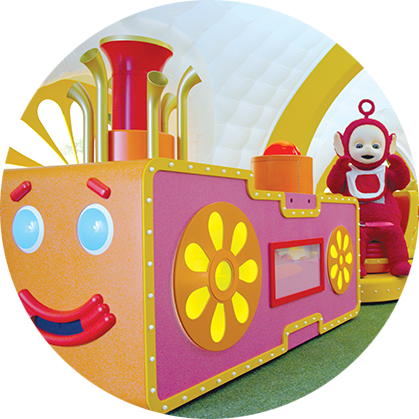 The Teletubbies love to chase Noo-noo around the Dome! After beating out hundreds of hopefuls, 18-month-old Berry, from London, was cast as the new Sun Baby; she takes over the role made famous by Jess Smith in the original series. 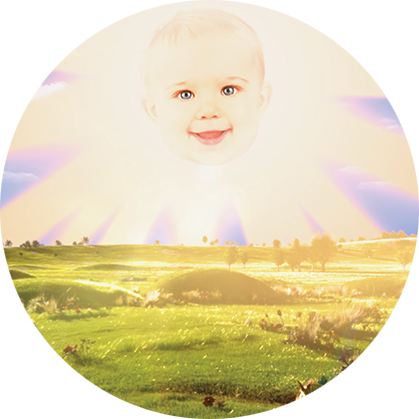 The much loved and iconic face in the sun is featured in every episode and forms an integral part of children’s engagement. A fantastically fun way to make Tubby Custard – it can get very messy! The ride is a Teletubbies version of the traditional teacup fairground ride. Not only does it have lights, music and spinning chairs, but to the delight of the show’s young audience, it also blows out big, pink, messy bubbles of Tubby custard. By the end, the Tubby Custard Ride is full of yummy Tubby Custard. 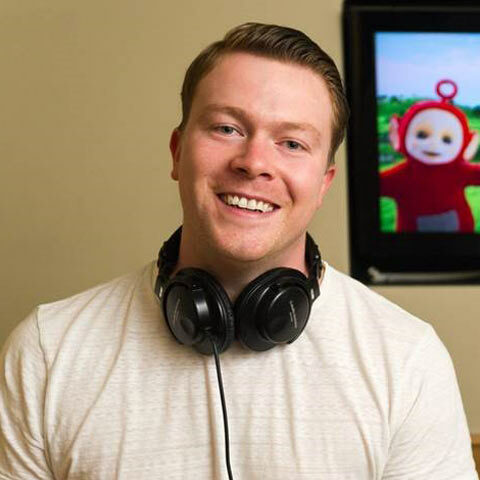 When the Narrator or Voice Trumpets announce that it’s time for Tubby Custard, the Teletubbies form a line behind the Tubby Custard Ride. Next, a big pink custard bubble emerges from the funnel of the custard machine and the ride begins! Music plays, lights flash and the ride chugs and wends its way around the Dome. Safely seat-belted into their chairs, the Teletubbies giggle and spin as their seats follow the trail of the Custard Machine. By the end, the Tubby Custard Ride is full of yummy, pink Tubby Custard. 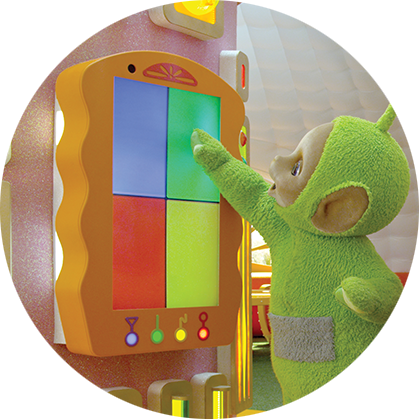 As a brand new element, the Tubby Phone is a smartphone with a touch screen and a typical ring which can be heard by the Teletubbies, even when they’re playing outside. 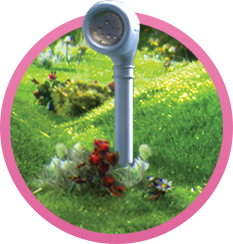 When it rings, the Tubby Phone vibrates and its screen flashes with the Teletubbies’ colors, with one color predominately flashing each time. This results in an exciting race and game for the Teletubbies to see if the right Teletubby answers at the right time! Once the Tubby Phone is answered, the chosen Teletubby awaits instruction and then leads the others in a merry, musical dance! 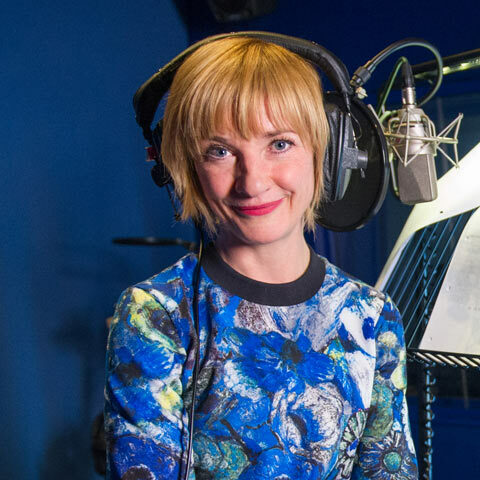 Jane Horrocks is an English stage, film and television actress, voice artist, musician and singer, famous for her roles of Bubble in the BBC sitcom Absolutely Fabulous and the role of LV in the film Little Voice. 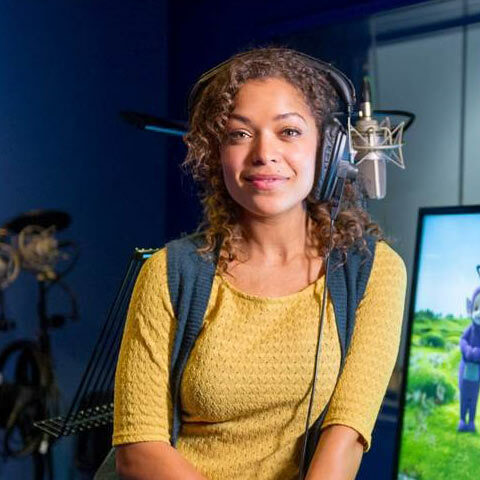 She is the voice of the Teletubbies’ Tubby Phone. As a BAFTA & Golden Globe Award winning English actor, Jim is probably best known for appearing in the hit film Bridget Jones’ Diary and two Harry Potter films as Horace Slughorn. He is now the voice talent for one of the Voice Trumpets. 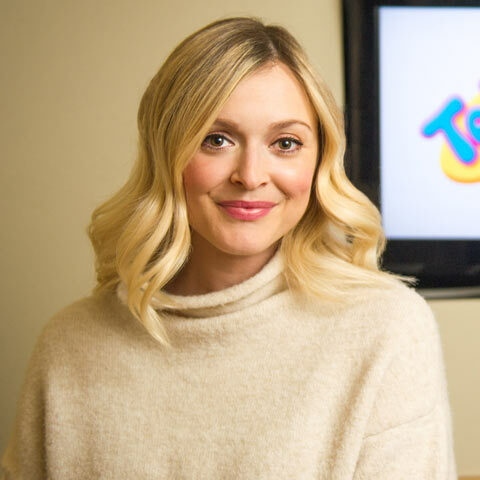 Popular English television and radio presenter who plays the voice of one of the Voice Trumpets in the new Teletubbies series. 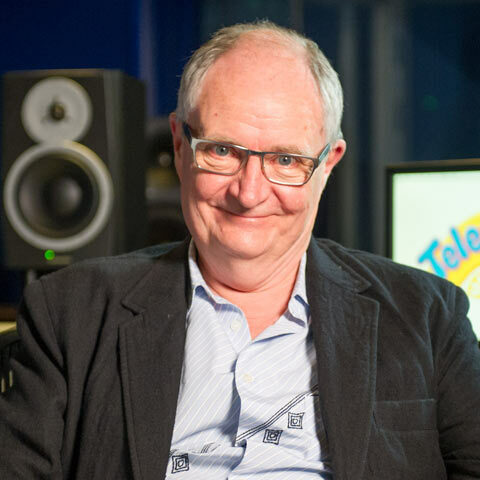 English actor who won the leading actor BAFTA in 2011 for his role in Eric and Ernie and now the narrator of the Teletubbies. English actress, best known for starring as Alisha Daniels in the E4 comedy-drama series – Misfits. She is now a Teletubbies’ Narrator & Voice Trumpet. 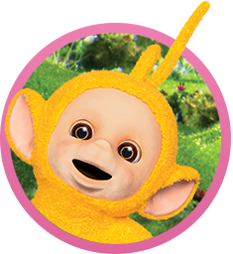 Teletubbies characters and logo © 2019 and TM DHX Worldwide Limited. Licensed by DHX Worldwide Limited. All rights reserved. You are about to leave Teletubbies.com.